Sunshine West engine repair business Cornell Diesel is set to take on 35 new employees thanks to a funding assistance awarded through the Victorian Government’s Local Industry Fund for Transition (LIFT) program. Last year, Cornell Diesel received a LIFT grant to build a new 4,000 square metre workshop and grow its operations. The new state-of-the-art servicing facility has now been completed and is helping the company meet growing demand for specialist repair services for diesel-powered vehicles. Minister for Industry and Employment Wade Noonan, who toured the new facility on Friday, said the company was ready to recruit 35 new staff, with the majority of positions suitable for former auto workers. “We know Melbourne’s west has been hit hard by the end of local car manufacturing, and these communities need certainty,” the Minister remarked. Established 40 years ago, Cornell specialises in remanufacturing, diagnosis, repair and parts sales for diesel engine systems. 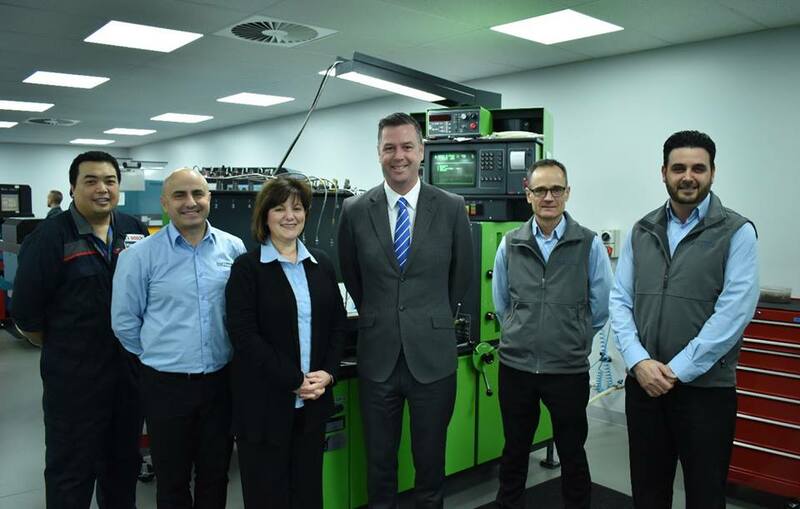 The company, which is a service agent for major manufacturers including Bosch, Denso, Delphi, Siemens VDO and Yanmar, also repairs diesel engines for CDC Victoria – a bus company servicing communities in Sunshine, Altona and Werribee.